Viknesh Vijayenthiran December 5, 2018 Comment Now! 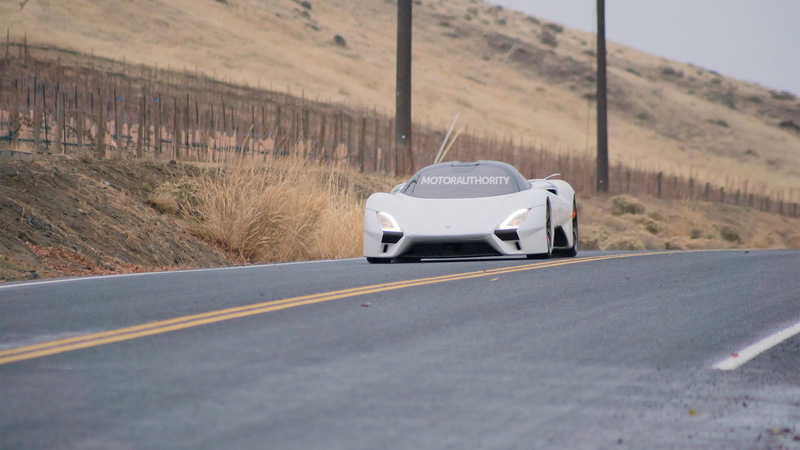 The team at SSC is currently cooking up America's first hypercar and a pre-production prototype has just been spotted testing on public roads. These photos were sent in to Motor Authority by a reader and were snapped on a stretch of road near SSC's headquarters in West Richland, Washington. 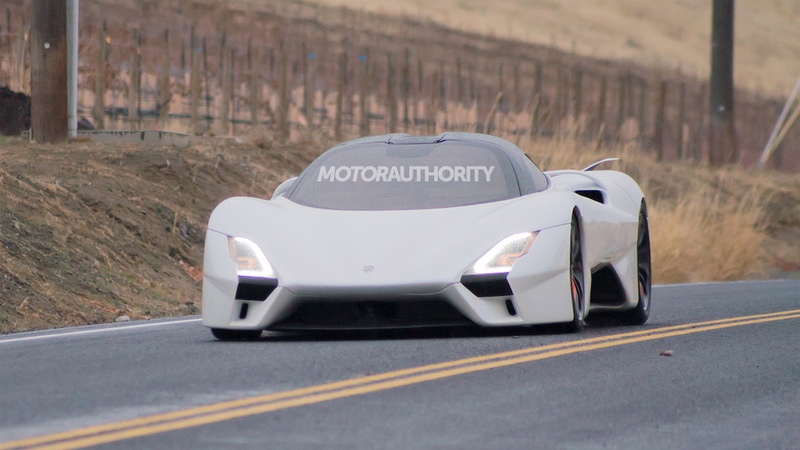 The new hypercar will go by the name Tuatara, and this pre-production prototype is the same one shown in August at Monterey Car Week. Its design is an evolution of the Jason Castriota-penned Tuatara concept first shown all the way back in 2011. We also have video from SSC filmed from the inside of an Ultimate Aero XT, the final version of SSC's Ultimate Aero supercar which at one point held the world land speed record for production cars. It was eventually surpassed in 2010 by the Bugatti Veyron Super Sport. Incidentally, SSC is out to reclaim the land speed record with the Tuatara, a record currently held by Koenigsegg and its Agera RS. The speed to beat is 277.9 mph. 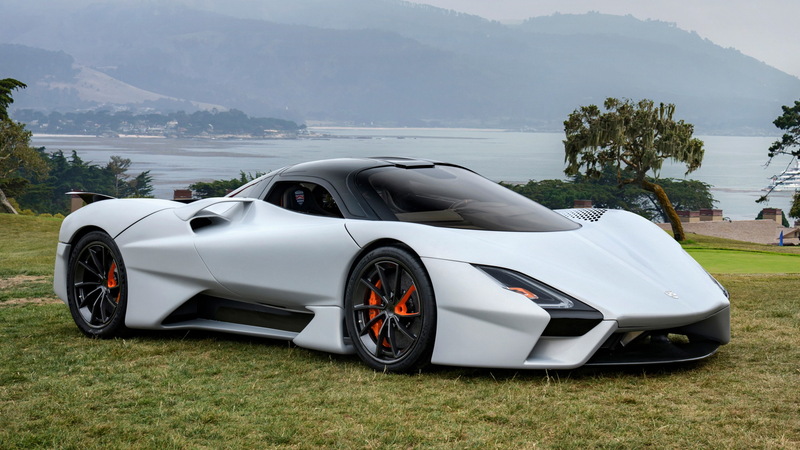 SSC is confident of reaching a top speed of 300 mph with the Tuatara. To get there, the car will rely on a bespoke 5.9-liter V-8 twin-turbocharged to the tune of 1,350 horsepower on regular gas and as much as 1,750 hp with E85. Other performance targets include a 0-60 mph time of 2.5 seconds and a quarter-mile ET of 9.75 seconds. 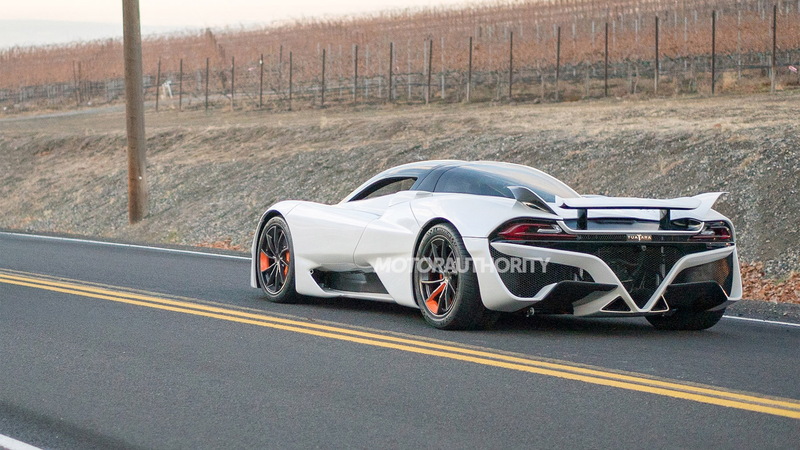 Since the showing in Monterey, SCC told Motor Authority the Tuatara prototype has conducted numerous tests on the road to production. Among them include verification of almost all of the newly designed sub assemblies, including NVH/ride quality/comfort, suspension design/geometry for multiple driving modes and hydraulic controlled ride heights, cooling systems, and the electronic steering system. 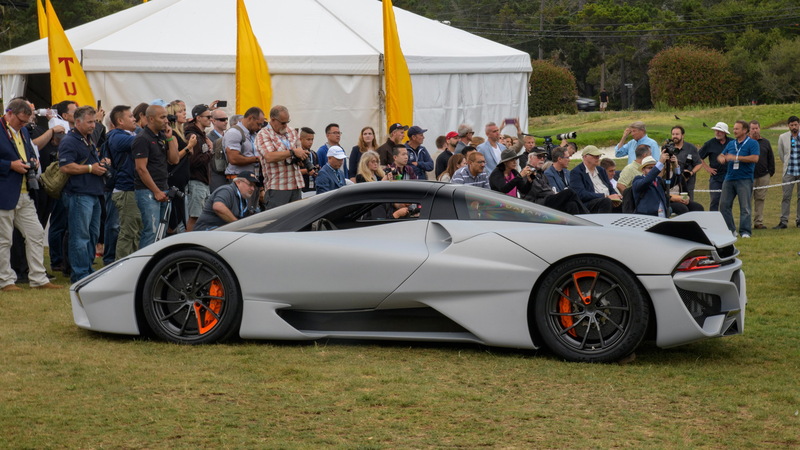 SSC aims to have the Tuatara in production by mid-2019 and the first examples in customer hands by the end of that year.